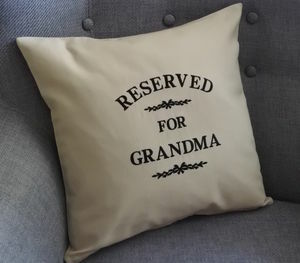 A beautiful personalised lavender cushion filled with scented lavender, perfect as a personalised Christmas gift for a grandmother or a gift for a new home. A gorgeously scented lavender pillow to give as a personalised christmas gift for Nanny, a personalised gift for a childminder or a special Christmas gift for a gardener to allow them to bring the garden indoors. 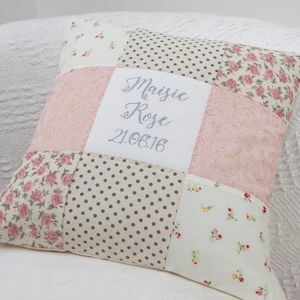 Our original lavender cushion can be personalised on the reverse to mark a special occasion such as a wedding or as an anniversary keepsake for years to come. The highly fragranced lavender will perfume any room or can be placed in a drawer to scent your laundry and bedlinen, and would therefore also be a lovely gift for a new home. 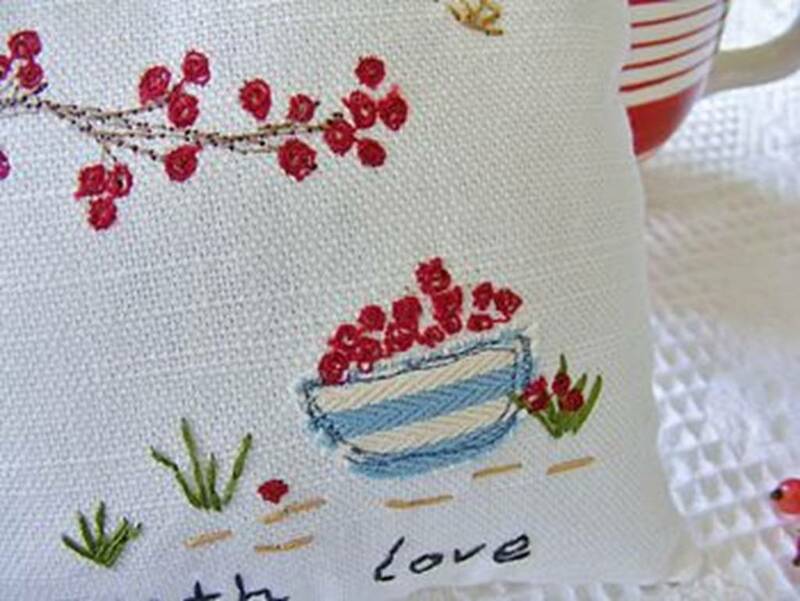 Our lavender pillow is freehand embroidered with a berry design and is packed full of Cornish lavender for a lasting and unique memento. 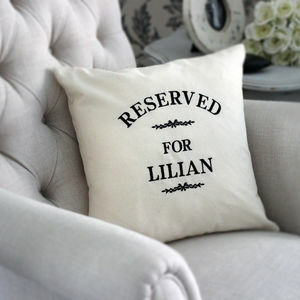 A unique personalised lavender cushion pillow gift, a most special personalised Christmas gift. 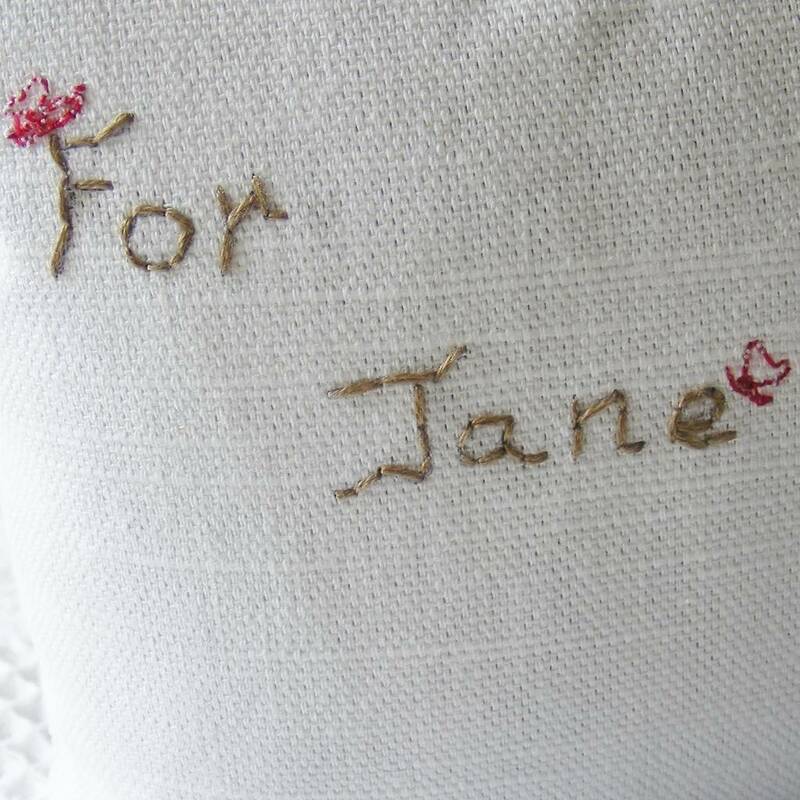 Our original berry lavender pillow can be personalised on the reverse to mark a special birthday or as an ideal anniversary gift for a special couple. 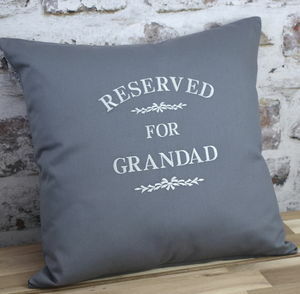 PLEASE NOTE; the name you choose will be freehand embroidered as you type it and therefore we ask you check you have typed in the spelling correctly as we cannot accept returns or refunds if mistakes are made, and we would hate you to miss out on your personalised lavender gift. 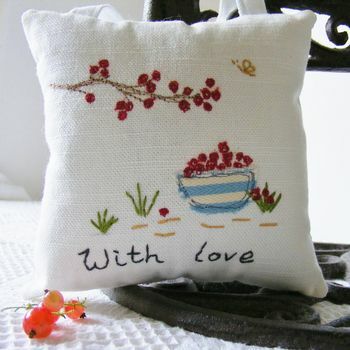 Handmade from beautiful high quality linen fabric and filled with fragranced lavender. H 15 x W 15 cm approx.